Q. What are the most common applications for perimeter security and what type of perimeter protection methods work best? Perimeter security is most often employed within the critical infrastructure sector where the serious threat of physical and cyberattack is real. Facilities in the energy, mining and chemical industries typically use perimeter security as a first line of defense. Airports and seaports, transportation hubs, as well as a significant number of other large scale commercial verticals, and even cities and urban areas, are beginning to ask for the benefits of the superior technology in today’s perimeter protection to get extended long-range detection around the clock. Expanding the perimeter means more security measures are in place to thwart intruders well in advance of them reaching their planned target. More often than not, a perimeter is defined by a fence that circles the outside area of an organization’s property line. These fences frequently include spikes or barbed wire on the top to prevent climbing and locked gates for access. 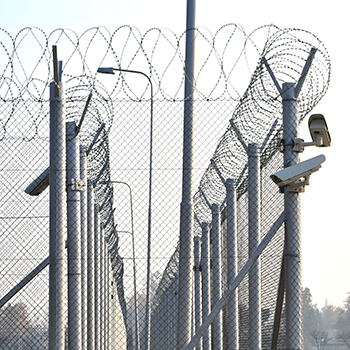 Today, the concept of perimeter security has evolved well beyond barbed wire and gate locks. More modern, technological solutions allow for better protection of wide areas with less manpower. 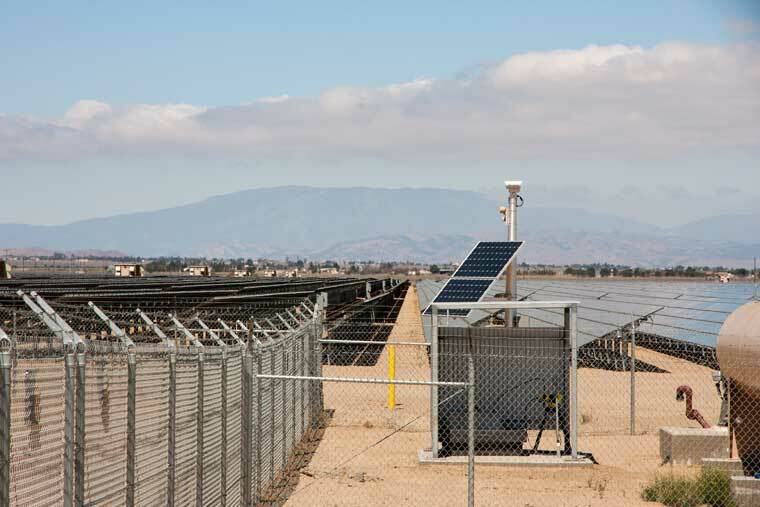 Solutions to safeguard perimeters are networked and provide features such as visual license plate capture, day and night vision, and advanced video management and analytics. Products include thermal and IP cameras for 24- hour video surveillance, fence sensors and cables, biometrics like facial recognition, electronic access control, video intercoms, audio communication and more, most of which can be linked to smartphone or tablet for viewing remotely. Analytics immediately detect intrusion or movement and automatically trigger an alarm to alert the central station for appropriate processing, action and response. Both high resolution IP and thermal cameras provide better quality images and improved performance over traditional analog video surveillance cameras. They are designed for real-time threat detection and tracking. A vital part of any perimeter detection strategy is the use of a central monitoring center. The NERC CIP-014 Guidelines and Technical Basis document is often used as a reference guide for target hardening of critical infrastructure facilities. Older perimeter systems only utilize methods of detection. Updated strategy provides detection, assessment and communications. Critical infrastructure organizations turn to AISG for our expertise in mitigating risk with an effective and cost effective overall security program. AISG customers get complete protection of their entire site out to the edge using proven, advanced technology in cameras, video surveillance, access control, identity management, intrusion detection, lighting and other security devices. Command and control platforms give real-time insights to potential threats. Constant reevaluation is needed in security to stay ahead of threats and respond appropriately. A good integrator will look at the unique needs of the critical infrastructure customer and apply a solution roadmap that looks at their cost restraints while meeting their security objectives.